The things I do. Yesterday’s twilight with its magnificent post-storm sky had me standing on the cabin bed in my study and resting my camera on the open rooflight. If I use lots of zoom I can spy on the rooks in the wood on Sytche Lane. At this time of year there’s much to watch. For one thing they are making some serious extensions to their old nests. For another, now is the time when the more spectacular ‘fly pasts’ begin. There seem to be two modes. The first kind involves a sudden outburst in the rookery (there are jackdaws in the wood too). For no apparent reason all the roosting birds whoosh out over the meadow, bowl around in a swirling mass and then return to the trees as if nothing had happened. The second kind is a much bigger production and usually happens around sunset or shortly afterwards. It seems to be about a gathering in of rook cohorts from the four quarters, a reconfirmation of rookery membership perhaps (?) – this after their day’s foraging around the fields. As they return to the rookery so the aerial dance begins: sometimes high above Townsend Meadow, at others in high-speed mass swoops at ground level. It is very exhilarating. And perhaps that’s it. The display is an expression of rookish joi de vivre. And why not? If I were selling my house, I would say the view of rooks from the study rooflight is a very particular asset, though maybe not for the ornithophobic or anyone with a tendency to vertigo. Posted on March 18, 2019 by Tish Farrell	This entry was posted in Landscape, Much Wenlock, Photo Challenge and tagged #SpikySquares, rooks, The Sytche, Tish Farrell Writer. Bookmark the permalink. Happy to bring back happy memories of rooks and jackdaws, Janet. A good week to you too. We have no rooks (that I know of) in the States. I’m not very adoring fan of crows due to their unmelodious cawing and carrying on for lengthy intervals. However, you have brought in a bit of fairytale romance with your pics. I know how you feel. The signs of spring are here, and it feels exhilarating. And watching nest building must be a true treat. Well it is good to see the signs, because as far as temps go, it still feels wintery. We have a lot of rooks in Wenlock, and I believe their rookeries are pretty ancient, which is a pleasing thought. It sounds like something from Gormenghast! Much enjoyed your story of the rookeries, lovely to watch their behaviour isn’t it. Recently I watched them courting on a roof in the neighbourhood, at least that’s what I thought was going on. Amazing birds. What fun, although any signs of spring would be welcome. I walked in the park this morning and although there was frost on the ground, the red-winged blackbirds are back, making quite a noise, and there are bits of green grass popping up in spots. Hurrah! It’s not just over Townsend Meadow, you know! There was much flurrying and flapping over the rooftops here this morning. I was focusing on some lovely dark pink blossom and they kept whooshing past, but I never quite caught them 🙂 🙂 I’ll have to come and teeter-totter on your bed! Now that conjures some chaos – both of us balancing on the cabin bed. Yikes! 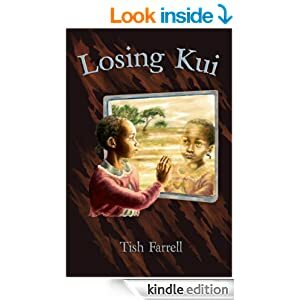 Hello Tish, thank you for following me, nice to meet you. It was lovely reading this post! 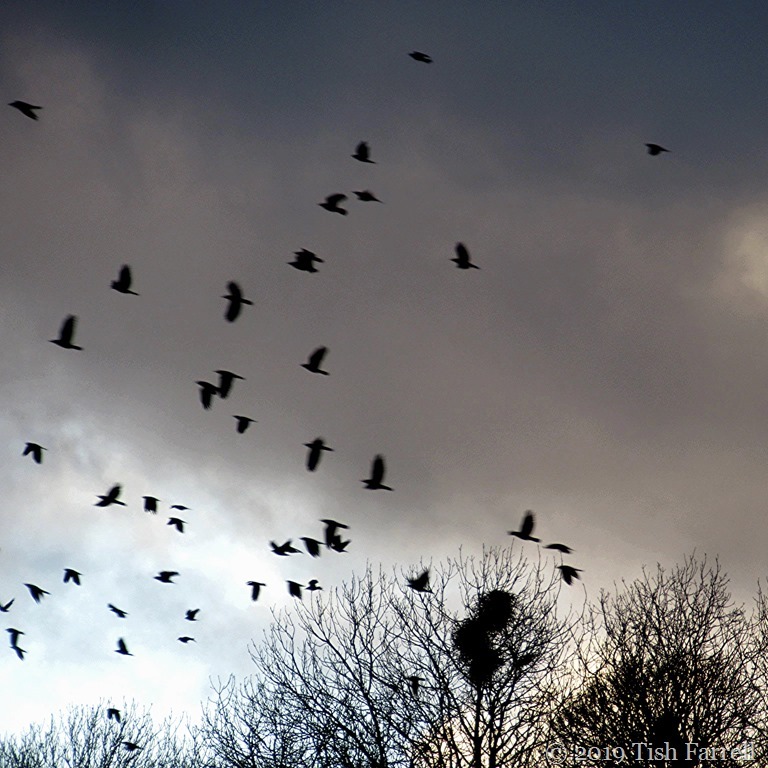 The Rooks & Jackdaws seem to be doing exactly the same in our village. They’re fascinating to watch & comical in some ways, as they repeat the same patterns you describe, when they take off en masse, then settle, usually, on one of three chosen trees, jockeying for position. However, nest building is getting more frantic now, so the noise will definitely increase soon! It’s a wonderful privilege to be able to watch them. Your advantage point sounds fantastic, what a bonus! Thank you very much for your kind encouragement, Tish, very much appreciated. It’s all very new, but I’m sure I’ll get used to it, & enjoy connecting with such a friendly community. My husband, Trev, showed me your post about Brampton Bryan, a while back, which was an excellent read, & most interesting, so I know you’re familiar with this part of the world. This area does inspire me every day, I feel very lucky indeed! My birds are all in hiding right now. I also think it’s possible the food isn’t good. Better than TV any day! I agree!! 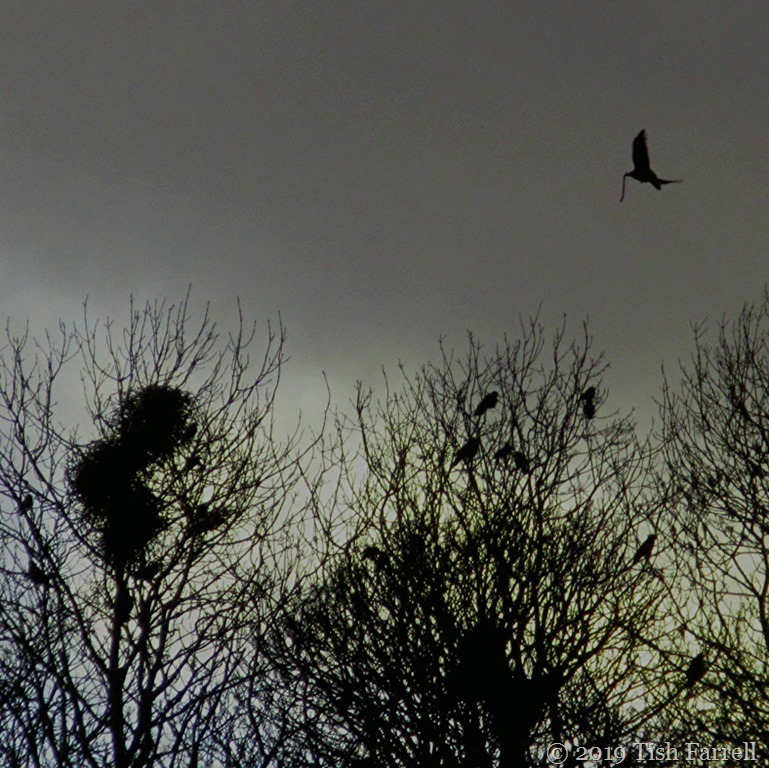 Can watch a rookery for ages . . . . .in too minds though about having one too near the house though. Tad loud at times, and there’s no volume switch! Yikes . . . . hope you were careful standing on the cabin bed. We don’t want you falling on any spikes! A flock of seagulls was whirling and crying overhead this morning in a right state. Most unusual. I looked for a buzzard as that always causes the birds to fly in chaos, but couldn’t see one. Watching the birds is always enjoyable, even the garden birds are back today after last week’s windy weather. There’s a very huge amount of very good things to be said for the presence of birds – apart from the pigeons at the allotment that is. In which case they are usually v. rude ones. “For no apparent reason all the roosting birds whoosh out over the meadow, bowl around in a swirling mass and then return to the trees as if nothing had happened”. I’ve seen other birds do that and it’s spectacular to watch. This week I saw a very large flock of Canada Geese doing their own version of that sky dance … something I’d never seen geese do before! “Joie de vivre” really is the only way to describe it. I like to think it is a dance of joy. It’s a good notion, Joanne – dances of joy. Something we humans have perhaps forgotten was once an important part of the year’s seasons, those tonic moments of pure gratitude and exuberance that help to build comradeship and resilience for harder times. … but it’s -5C right now so I’ll resist the impulse!